Turn security system ON and OFF before entering your home or after exiting. The 2GIG 4‐Button Keyfob Remote gives users the ability to turn the security system ON and OFF before entering the home or after exiting. If there is an emergency, you can turn on the siren and automatically call the central monitoring station. 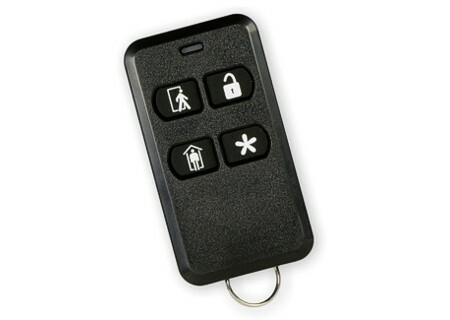 The 2GIG 4‐Button Keyfob Remote communicates with the 2GIG Control Panel on the 345 MHz frequency. 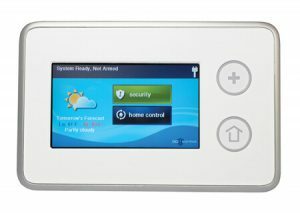 It gives users the ability to turn the security system ON and OFF before entering the home or after exiting. If there is an emergency, you can turn on the siren and automatically call the central monitoring station. 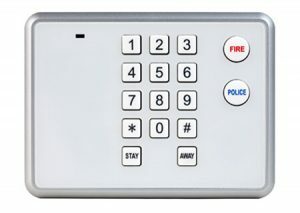 Keyfobs can be programmed to operate the programmable output in the Control Panel. The keyfob is a lithium coin battery‐powered, wireless keyfob designed to fit on a key chain, in a pocket, or in a purse.